membrane-covered opening in the cochlea that bulges outward in response to pressure placed on the oval window by the ossicles. 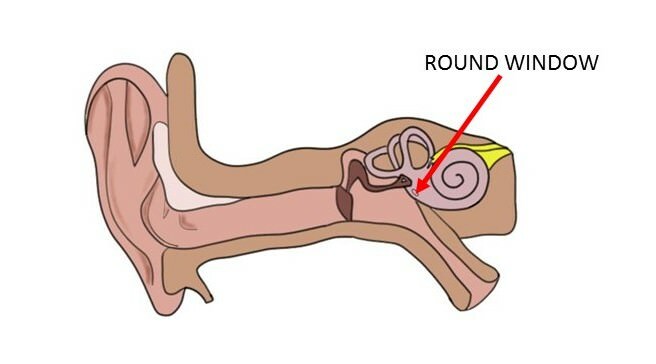 The outward movement of the round window allows fluid to move within the cochlea, which makes the activation of auditory receptors possible. Watch this 2-Minute Neuroscience video to learn more about the cochlea.